Much like the distinct social and economic differences between the 1950’s and the 1960’s, the 1959 Dom Pérignon is the dawn of the current era for the brand. Vintage conditions were better than excellent, bordering on rare, and the year is still amongst the top French vintages of the entire 20th century. Indeed, the 1959 Dom was chosen as one of the inaugural vintages for the Oenothéque library series in 2000, meaning that it was still available to buy in certain boutique stores decades after its’ release. This availability marks a clear distinction from all prior releases as, unless you had access to an extremely well preserved cellar or bought a bottle at auction, you would be extremely unlikely to ever taste them. The harvest of 1959 began on the 10th September following perfect summer conditions which allowed grapes to fully ripen and give the relatively high alcohol level of 14%. The tasting notes for the 1959 Oenothéque describe it as full of liquorice, tobacco, figs, chocolate and coffee, with a fresh and long finish. James Bond would enjoy the release vintage in the 1967 film ‘You Only Live Twice’. Another reason that this was a memorable year was that it marked the first time that Dom Pérignon Rosé was produced. Never commercially released to market, the near majority of the production (either 306 bottles or 863 magnums, depending on sources) went exclusively to the Shah of Iran to be served to his 600 guests at the opening night of his celebrations to mark the 2,500th anniversary of the founding of the Persian Empire. The event, held between October 14th and 16th 1971, and billed as ‘The greatest party in the world’ took more than a decade to plan and orchestrate. Given that the planning went as far back as the year of the vintage, it is likely that the Rosé was initially undertaken as a request to create a unique blend/bottling for this special event. The spectacular wine list from the first evening included the 1911 ‘Champagne riot’ vintage of Moét, Haut-Brion Blanc 1964 and Lafite Rothschild 1945. The Dom Rosé was kept back to pair with the dessert of glazed Oporto ring of fresh figs, with a cream and raspberry champagne sherbet. Dinner took over five and a half hours to complete, and film director Orson Welles said of the event “This was no party of the year, it was the celebration of 25 centuries”! In a rare tasting note for this wine, it was described as having delicate bread and caramel to the nose, with white chocolate, minerals and richness on the palate. The first ever public sale of the 1959 Rosé (which was disgorged in March 1969) came in April 2008 when auction house Acker Merrall & Condit listed two bottles, obtained from the Champagne-loving real estate executive Robert A. Rosania. The astonishing winning bid was £43,000 ($84,700) against an estimate of £2,500-£3,500 ($5,000 – $7,000) and the wine remains an enigma: one that Dom Pérignon winemaker Richard Geoffroy describes as a ‘rare, superlative, mythical vintage’. He also confirmed that the Moét cellars only hold a handful of bottles of this rare wine. 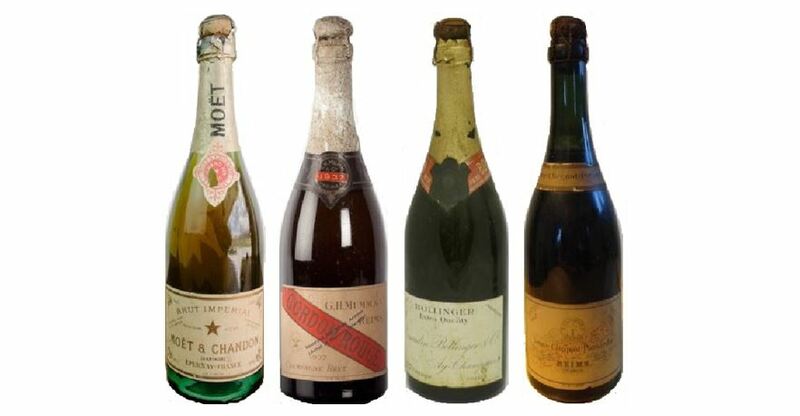 The 1960’s saw the most declared vintages of Dom per decade at this time: The 1920’s, 1940’s and 1950’s had seen 4 releases per decade, and the 1930’s just 1 release. This rate would increase to 5 releases from the 1960’s, and then up again to 6 releases from each of the 1970’s and 1980’s. From these figures it is clear to see that both production and consumption of Dom Pérignon were clearly increasing as the war and austerity years faded away. Those lucky enough to have tasted the wine describe it as being fleshy and toasty as good Dom should be, with a long oaky aftertaste of several nuances, but primarily showing distinct coffee notes. The weather of 1962 began badly with an extended cold winter followed by a spring season beset by thunderstorms and hail. Summer began cool pushing flowering back, but September managed to pick up warmth, and harvesting was delayed until the 4th of October. The resulting wine, although elegant and refined, shows drying characteristics and wine expert Michael Broadbent described the wine as “elegant (with) excellent flavour (and) good length”. 1962 saw the first commercial bottling of a Dom Pérignon Rosé – a wine described by Champagne expert Richard Juhlin as paler than many of the darker Rosé’s of the year, and “perhaps a little too full bodied and rounded”. He goes on to note that it lacks acidity, and is almost chewy on the palate. Perhaps they were still finding their way with the Rosé wine? What is certain is that wider factors were afoot, and the next vintage (1964) would see a bigger change for Dom Pérignon winemaking that continues to this day. The Taste of London event draws to a close this weekend, bringing the curtain down on the spectacular array of food and drinks from both artisan producers and premium brands. The setting was the magnificent manicured surroundings of Regents Park, and the sun was fully shining on the 200+ exhibitors. Some of the finest food establishments in London were represented including those of celebrity chefs Theo Randall and Marcus Wareing, who were happily milling around with attendees answering any questions and posing for photos. I desperately wanted to try Marcus’ Salted Caramel soft serve honeycomb ice cream, but ran out of time, and thus my foodie highlight remained a dish from the restaurant chain MEATliquor. Specialising in American style meat dishes, I tried their ‘Dead Hippie Slider’, and the meat was sooooo juicy. It’s clear that the chain is appropriately named. There were also numerous cooking demonstrations from world renowned chefs, and I attended the session led by Andrea Zagatti, sampling his delicious air dried duck and white asparagus dish. The WSET were also on hand in ‘The Mr Vine Wine Theatre’ to run masterclasses, led by wine expert Jane Parkinson, on wine tasting and wine-food matching. Alongside multiple beers and ciders, the world of wine was very well represented, from the traditional French (Laurent Perrier) to the less-seen Thai (Monsoon Valley). It was also great to see representation from English wine producers such as Chapel Down and Digby showing their wares. 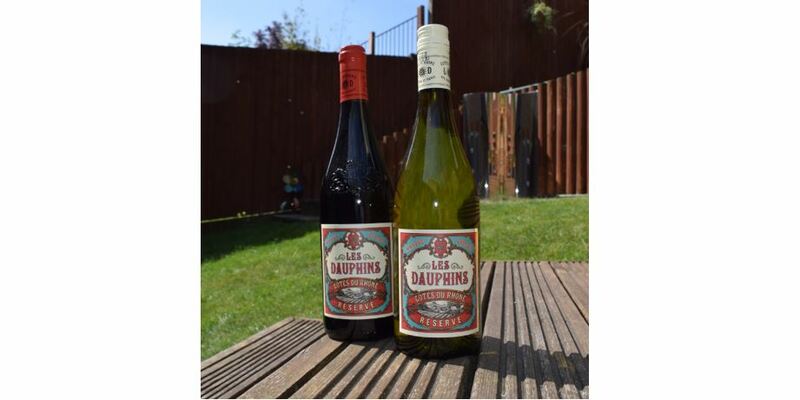 With that said, I was attending courtesy of Les Dauphins, a French wine producer from the sun drenched vineyards of the southern Rhóne who, in my opinion have one of the most striking wine labels on the market, which really evokes a traditional France. The team were happy to let me taste through the full range that they were showing on the day which comprised of their Reserve White, Reserve Red, Cótes du Rhóne Villages Grande Réserve Red, and the Vinsobres Red. My favourite was the Villages Grande Réserve, which was full of flavour, yet easy to drink on its own. The Vinsobres, although clearly more complex, had a firmer tannin and needed to be paired with food (I’m sure there is an irony in me saying this, tasting it on its own at a huge food and wine event). White wine definitely comes second to red wine in the southern Rhóne and so it’s always good to taste one. This is a blend of Grenache (65%), Marsanne (15%), Clairette (10%) and Viognier (10%), and the grapes are picked at night or in the early morning to preserve their freshness. The resulting wine is matured on its lees for 2-6 months, and the back label describes it as a “white with attitude”. The colour of the wine is a straw lemon, with hints of green and gold. The nose is a full intense and expressive mix of green and yellow fruit – pear and grapefruit to start, moving on to ripe yellow melon, peach and dried pineapple. On the palate you receive a deliciously weighted body, comprised of dense tasting fruits. The green fruit continues, twinned with lovely zesty lemon citrus. The acidity is medium and well balanced, and the oil and butter tones all add to the luscious weight of the wine. This, in turn, aids the medium-plus length which is carried by the fruit and citrus. A pleasure to try and reassuringly distinct in this price bracket. A traditional Rhóne grape mix of Grenache, Syrah and Mourvedre (respectively 70%, 25% and 5% of the blend), the bunches are totally destalked, go through regular pumping-over to aid extraction, and are then matured in concrete tanks. The colour is a youthful vibrant purple. On the palate, a refreshing acidity guides you towards youthful ripe dark black fruits of both cherry and currants, and touches of plum. Tannins are evident, but fine grained and well structured, and the medium weight is rounded out with perceptible spice and pepper. All in all, this smooth wine gives you a deep dark warmth and leaves a medium-plus length behind it. A good quality wine in this price range. With thanks to Les Dauphins for providing both the wines and entrance to ‘Taste Of London’. All reviews are conducted impartially. This week saw me sitting my final exam for the Wines & Spirits Education Trust (WSET) Level 4 Diploma. After 3 years and 7 exams, I’m within touching distance of completing this notoriously hard course. The exam that I sat was the feared Unit 3 ‘Light Wines of the World’ Theory exam. 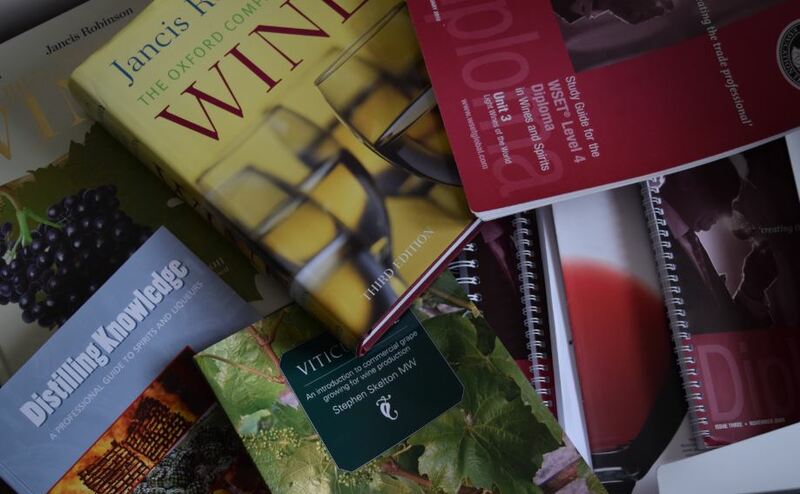 The description ‘Light wines of the world’ means the exam can be about any aspect of winemaking in the vineyard or in the winery, of any number of different wine styles, produced anywhere in the world. There’s several textbooks (not least the massive Oxford Companion to Wine which runs to nearly 800 pages), but not only that, when you dip in to these textbooks it also tells you to check out a further selection of other books. And then to go online. And don’t forget to keep up with the trade magazines. I will admit that this isn’t my first time sitting the exam (it is my 3rd attempt) but unlike, say, a driving test where people are fairly protective of whether they passed first time, there’s no shame in admitting that you didn’t pass this one. Indeed, many of the people I spoke to on exam day were re-sit students. On the first attempt of this final exam you are expected to do a 3 hour written exam straight after a 2.5 hour tasting exam. No small task in itself. Frustratingly my first re-sit came mere points away from a pass and, because of a silly misunderstanding when reading the question which cost me the pass, I will never ever think of New Zealand Pinot Noir in the same way again! Anyway, here I was, giving it what I currently view as perhaps my last shot at this final test. They only do one sitting of the exam every six months, and so attempting it just 3 times can eat up nearly 2 years of your life (it takes 10 weeks for the final results to come through). You’re given seven questions, of which you must answer five of them. A standard pass for each question requires you to write circa 3 sides of A4 of concise information, in just half an hour, and of course you have no idea which questions will come up. Questions this time ranged from comparing three different wines from France in respect of the difference in grapes, styles, quality and price, to being able to articulate the advantages and disadvantages of making bulk and premium wine in South Africa. Time will tell how well I’ve done, so roll on August. 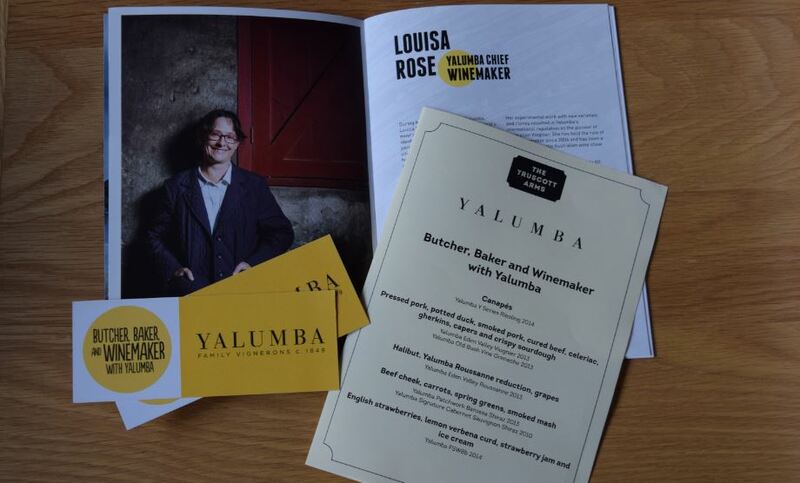 Australian wine producer Yalumba were in London this week for their ‘Butcher, Baker and Winemaker’ dinner, and I was one of those lucky enough to have tickets. Bringing a touch of Barossa magic (and sunshine, as it happens) to Maida Vale gastropub The Truscott Arms, was Yalumba winemaker Louisa Rose, who has worked for the company for 22 years and has been chief winemaker since 2006. The evening was scheduled to begin with canapés in the private garden terrace but, due to the waiters focusing on serving the Yalumba Y Series 2014 Riesling (no problems for me here!) and the growing number of people arriving (there were circa 40 in total) the goats cheese nibbles had only just arrived by the time we were all to be seated in their first floor private dining area. Following greetings from Andrew Fishwick (owner of the Truscott Arms), Head Chef Aidan McGee (who regaled us with a strangely bizarre lecture on creating authentic bread), Louisa welcomed us to the evening, gave us an overview of Yalumba, and also provided an on-going rundown of the wines that were being poured for us. As an aside, I’ve written about Yalumba wines recently following a tasting panel, which you can find here. The dinner itself consisted of 4 courses and 6 further wines to try. First up was a charcuterie plate (image, below left) consisting of pressed pork, potted duck, smoked pork, cured beef, celeriac, gherkins, capers and crispy sourdough. With this we were served a white wine and a red wine – respectively Eden Valley Viognier 2013 and Old Bush Vine Grenache 2013. Due to the sheer amount of different foods to be matched either with the white or the red wine, and trying to remain in the conversation with other guests, I must admit my tasting notes rather escaped me at this early point. Louisa was also still giving us an on-going dialogue, but what I do recall is her commenting on how Viognier is a great food wine, and that there isn’t really a bad pairing for it. Judging by the myriad of food that was quickly cleared from my plate, I’d have to agree. It was then quickly on to the fish course (image above right, sorry – I started before I remembered to take a photo), and we were served Halibut in a Yalumba Roussanne reduction, with grapes, spinach and salsify. Naturally the wine served here was the Eden Valley Roussanne 2013. Like the Riesling and Viognier before it, the colour of the Roussanne was a vibrant green and yellow, almost luminous. The palate here was creamy fleshy green fruit, with a spice that really perked up the fish, and a great length. It’s lucky that I enjoyed the pairing, as my +1 sprang on me that they didn’t eat fish and so I ended up with two portions. The final course of the evening (image, above right) was English strawberries, lemon verbena curd, strawberry jam and ice cream. Paired with this we had the FSW8b Botrytis Viognier 2014 (FSW stands for Fine Sweet Wine). This was the second excellent food-wine match of the night for me, and the strawberries worked amazingly well with the luscious tropical sweetness. I was slightly miffed to see that our table mat (if you like) was a fill-in-form to be able to order any of the wines featured in the evening, which for me commercialises what is meant to be a social gathering, but it was extremely hard not to fill it in and buy some of this luscious sticky. Although there were too many people in attendance to make this an intimate affair, the sheer unknown of your dinner companions was actually a great element, and I spent the evening happily chatting away with two chaps who worked behind the scenes at Majestic wine, learning a few things, and passing other knowledge back. Louisa did ask the gathered crowd on several occasions if they had any questions, but as is typical, very few put themselves out there to ask anything in front of that many people, and I did come away missing the one-on-one winemaker aspect that I felt this dinner had promised. That said, once dinner was over our hosts invited everyone downstairs to the main bar area to continue the drinking, but alas, my carriage awaited and I had to leave. All in all a memorable night with great food, great wine and great company. It’s been just over two months now since my vines started their 2015 journey, and so here’s a further entry as to their progress, which will make interesting reading at the end of the season, and also year on year. If you want to remind yourself of the last progress entry, you can find it here. The warm and sunny weather continues here in Berkshire and, although there was hail on one particular day, it was mercifully short in duration. As you will see from the pictures below, my Chardonnay is coming along nicely and has virtually doubled/tripled in height and a number of new vines have sprouted. Leaf canopies are also well established and growing well. It’s a similar situation for my Cataratto, which is also thriving, despite being in a slightly shadier position. The same cannot be said for the Ortega which, although it has seen progress, still seems fairly muted in its growth and is currently resembling something like a bush vine rather than one being trained. If it doesn’t speed up its growth in the next few weeks I think I’m going to have to do some digging to find out what its general lifecycle looks like. Being a Germanic variety and used to cool weather I thought it would be enjoying the unseasonal warm spell we are having, but clearly not. To ensure I give all the vines every chance, I’ve replaced the trellising as promised, in readiness for when the grapes arrive and bring extra weight later in the season. This new trellising, which mimics those used professionally, should allow extra breezes through, hinder pests (my previous lattice trellising would have been easy for them to scale up), and allow sunshine to penetrate all sides of the vines. As I write, the weather is a glorious 24° centigrade, with more of the same planned for tomorrow. Long may it continue! Off to California for this weeks’ tasting note, to try part of the ‘Refresh’ range from Barefoot. 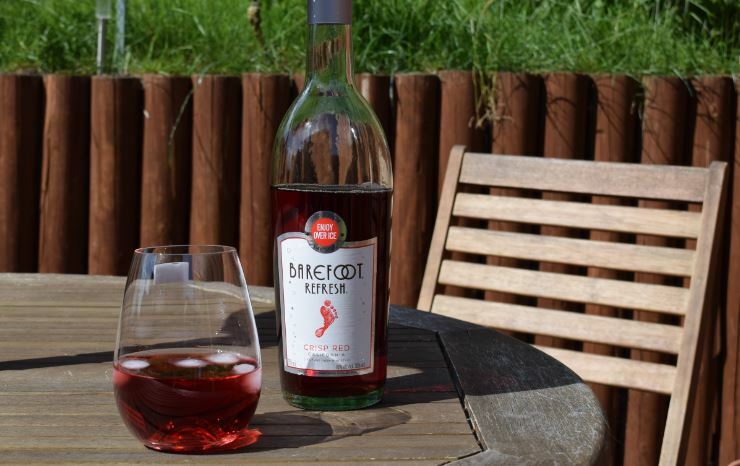 This is a new range in the UK and consists of a Crisp Red, a Crisp White, and a Perfectly Pink Rosé wine, each blended specifically to be served over ice. Hmmm, Red wine over Ice?? The seeds of Barefoot were sown within the California wine explosion of the 1960’s but the real story starts in the mid 1980’s when founders Michael and Bonnie Harvey set up Barefoot cellars and created the footprint logo that still adorns their labels today. Since 2005 they have been part of the wine behemoth Gallo. The ‘Refresh’ range has been available in the USA for a year or two now (they have already added two extra wines – a Summer Red and a Sweet White), but as summer approaches the UK and thoughts turn to refreshing al fresco drinking, the appearance of this wine is well timed to tap in to what is a growing market. Spearheaded some time ago by the trend of cider with ice, the momentum is building, and you may recall that in April I reported on the new Champagne-over-ice blend that Moét have just launched here. Maybe on one or two occasions I’ve popped an ice cube in a glass of White or Rosé if the bottle has not been cold enough, but I’ve never had the inclination to do that with a red wine, and for that reason I’ve decided to review the Crisp Red from the range, which is a blend of Pinots Noir, Rosé and Grigio. The clear bottle (unusual for a red wine) shows a vibrant clear dark cherry red wine, and the screw cap opens with a subtle pfffft. The spritz in this wine comes from carbonation (the bottle clearly states this is an ‘aerated semi-sparkling wine’ from the addition of carbon dioxide) as opposed to anything approaching the methods used to create the bubbles found in Champagne etc. The nose was clear red fruit – a summery fresh blend of strawberry, raspberry, red currants and Cranberry. The palate carries on the veritable fruit salad mix – but what impressed me the most was the body of the wine. I was expecting it to be a fairly light bodied, perhaps that of a Rosé but, retaining the character of a red wine, the body was medium. I didn’t actually try the wine without ice to see how it tasted, but I assume it was sweet like concentrate. Without wishing to over-complicate the bottle, the specific blend was created by chilling the wine, which kills the yeast and stops the fermentation early (at approximately 10% abv). Sugar remains unconverted to alcohol, and it is this sweetness that allows the wine to retain its medium body without becoming washed out and tasteless through the dilution of melting ice cubes. To sum up, this bottle was every bit as refreshing and moreish on a warm day as Sangria or Pimms, and the fruity length was pleasing, a touch sweet, but not cloying. The only worry for me here is that this style of wine, and its lower alcohol level meant it was very easy to drink it – in many ways it didn’t feel like I was drinking wine at all, but some sort of wine alternative. Before I knew it I was halfway through the bottle! Oops. Thanks to Barefoot/Gallo and Tesco for providing the bottle used in this tasting. In my modest but fairly sizeable wine rack sit 6 bottles which I’m not touching. This isn’t because they are rare vintages, are valuable, or even because they need ageing to reach their peak. No, it’s simply because they contain 15% alcohol and having had a bottle or two before I found it to be too overpowering. I do like a ‘big’ red wine and subscribe with Laithwaites to receive their ‘Big Reds’ mixed case, but the clue to the huge body is in the name of the wine. 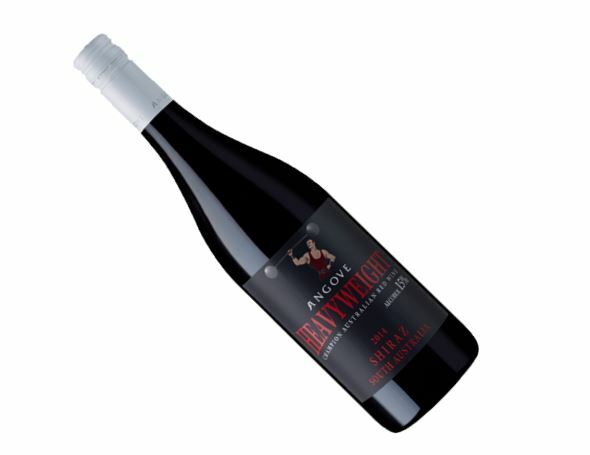 ‘The Heavyweight’ is a blockbuster Shiraz from South Australia and packs a punch that (judging by the reviews online) is loved and loathed in equal measure. Occasionally this particular bottle pops in to a mixed case, and when I forget to replace it, adds to my growing collection. I started thinking of gifting the bottles, but with the high level of alcohol I felt it would need to go to a serious wine lover rather than slipped in to the mix at a party. If I couldn’t vouch for the wine though, how would I be able to pass it off to a friend? I was interested to read a letter in this months’ Decanter magazine from a Professor Herbert who clearly has a similar problem. I must admit that I had never considered his solution of adding water to a wine to dilute the alcohol (indeed, in an upcoming review, I’m even baffled by a red wine meant to be served over ice cubes). The idea of watering down wine seems almost an abomination of all the hard work that the producer has put in, and it was only a few months ago that I wrote about the outrage caused by ‘Wine Based Drinks’ where exactly this practice was happening (in this case by the winery, rather than at home). My split-second shock and disdain was quickly transformed in to one of absolute curiosity. Could this be the answer I was looking for? Professor Herbert makes mention of an article in the New York Times which talks about the effects of dilution across a range of beverages from Cocktails to Coffee. Adding water to high alcohol spirits is an accepted norm, and when doing the tasting exams for Spirits at the WSET you need to dilute them with water. This isn’t merely to stop you getting hilariously drunk in the exam, but is because the dilution effect of the water can bring out subtler tastes and aromas that you may not notice through the alcohol burn (which will occur in any alcoholic beverage with an abv of more than about 14%). As always the best way is to find out for yourself, and so I popped to my wine rack and picked out the Heavyweight for a taste test. The unadulterated wine was a youthful vibrant purple indicating a clean and fruit forward wine, with a clear view of the tears in the glass highlighting the alcohol level. The nose was of deep dark red cherry with jammy notes (from the high alcohol), a biting spice, and also floral notes, particularly vanilla. The palate was an initial huge warm fruit-bomb explosion, but then with nowhere else to go I was left with a hollow mid-palate. In addition, the initial fruit explosion meant that the palate quickly dissipated and I registered the length as medium (mostly made up of a sickly sweet taste and warmth from alcohol, as opposed to fruit). To be fair to this wine, I think it may have needed food (it is Australian, so a BBQ may not have been far from mind when creating the blend), but I tried both versions without. For the second tasting I decanted the bottle contents with an additional 20% mineral water (Evian), taking the abv down by the same 20%, ergo 15% down to 12%. The colour of the wine was still a youthful purple with less visible tears and the rim clearly now water-white. The nose, instead of a fruit bomb, was more restrained with more tertiary characteristics coming through. In place of the overt fruit I was hit by black cherry mocha, cigar smoke and older spices (a varied combination) blending in to a warm whole. The palate was very smooth, if still a little sweet, but without the fruit bomb the length became at least twice as long and all about the warmth of the tertiary characters instead of the hit of primary fruit. Like the first wine the acidity is refreshing and carries the wine through the palate, and both had a hint of finer-grained tannins in the mix. There’s no doubt that this is a well-made wine, but there is something fundamentally smoother and longer lasting about this ‘watered-down’ example, and something which pushes back the overt jammy fruits and draws towards tertiary characters of coffee, chocolate and wood. With a rising number of wines clocking in at more than the traditional norm of 12.5%, perhaps now is a good time to get familiar with the potential of adding water to wine? My response to Professor Herbert can be found in the August 2015 edition of Decanter magazine. 1937 Dom Pérignon; Rogue or Reserved? I was reading the website of Champagne expert Richard Juhlin recently whilst researching my on-going series of articles about the history of Dom Pérignon. Richard claims to be probably the only palate in the world to have tried every vintage of Dom, including the rare ‘not-quite’ year of 1926. What struck me of interest was that he also claims to have tried the 1937 which, according to Moét, never existed. 1937 was regarded as a top notch year for Champagne and Moét produced a standard Vintage, so a Prestige Cuvée was certainly on the cards, but who is right – Richard or Moét? Dom Pérignon was first introduced in late 1936 to help perk up a depressed Champagne market following the austerity that began with the 1929 Wall Street crash. It would also help to slake the thirst of a newly invigorated US market following the end of prohibition in 1933. It’s a rarity to have a vintage declared for standard Moét, without a corresponding one for Dom Pérignon, and there has only been a handful of times in the last 100 years when this has happened. The instant success of the first release of Dom meant that by the time of the 1937 harvest, Moét would clearly have been thinking about how they would present this 5-star vintage to market. So, based on that, 1937 Dom sounds like it should exist. Playing devil’s advocate for a second, it would probably have made better sense for Moét to ensure that all they produced went in to the tried-and-tested Vintage wine which would be a definite seller, rather than diverting any in to a fledgling Prestige Cuvée. Moét were the first company to launch at the Prestige level, and the good demand for the first vintage could well have been a one-off – an enthusiastic response to a novelty product. There was simply no precedent at that time for them to fully gauge the on-going market. In reality, they were able to hedge their bets somewhat as all wines were going in to standard Moét bottles, rather than any being placed in the distinctive green bottles used for Dom. Champagne goes through its’ 2nd fermentation in its bottle, but for the vintage years declared before the concept of Dom had been fully developed (i.e. any pre-1936) the liquid was simply transferred from their standard bottles in to the Dom ones. Even though the 1937 vintage obviously comes after the conception in 1936, it is unlikely that they had ordered multiple thousand custom bottles based on the sales of just one release. It’s also interesting to ponder the impacts of the impending war, the signs of which had been on the horizon since the mid-1930’s. With the length of time needed to age a Prestige Cuvee in the cellars (at least 7 years) it is unlikely that Moét would want to tie up stock for any length of time. My conclusion is that by the time war broke out there were no specific bottles of 1937 Dom in the Moét cellars, but there was Moét 1937 which, if it survived, had the potential to be transferred to Dom bottles when ready for release to the market. Nipping forward to the end of the war when sales of Dom Pérignon recommenced, the next 3 vintages (1928, 1929 and 1934) were released, but the company then skip on to the 1943. If the 1937 was ever to have hit the market it would have been at some point in the early 1950’s when perfectly good records for the surrounding vintages exist in the Moét archives. This tells us that it’s unlikely that the lack of paperwork is down to them being destroyed in the hostilities. For a moment, let’s assume that it did exist, and Moét did have the foresight to put it in the iconic green bottles. In the age of the internet, it’s very telling by itself that there are no pictures to be found of either bottles or labels for a 1937 Dom. It is possible that virtually every single bottle was either drunk or destroyed during the war as, once in occupation, the Germans were demanding something like 400,000 bottles of Champagne a week! The French vignerons were increasingly cunning with the way that they protected the wines in their cellars (thanks to the lessons learnt in the First World War), but the 1937 was still young and not yet ready to drink at the outbreak of war. Vignerons would have been far more likely to have been protecting older and more mature vintages. What clues can we get from any surviving bottles of 1937 Champagne? In the picture above we can see various bottles that survived (l-r Moét, Mumm, Bollinger, Veuve Clicquot), and experienced palate Michael Broadbent managed to get his hands on a few as he lists off tasting notes for several 1937’s in his thorough book ‘Vintage Wine’. With these varying survivors it seems extremely odd that no Dom Pérignon managed to. What’s interesting is that each of these labels have ‘Reserved for Allied Armies’ emblazoned across them. The Germans were really only interested in the mature vintages for themselves, and gave winemaker Otto Klaebisch the role (dubbed ‘Wine Fuhrer’) of ensuring that there was someone looking after both the quality and the quantity of what they looted. With the Germans not touching it, what seems more likely is that stocks of 1937, being allocated as they were to the Allies, were heavily depleted and there simply wasn’t enough to make both a vintage Moét and a Dom Pérignon. Or, enough to make it worthwhile transferring what remained in to Dom Pérignon bottles. To conclude, I think it’s unlikely that the 1937 Dom Pérignon ever existed and is therefore a rogue vintage, but am open to suggestion if others have any evidence to the contrary?